I have given my last lecture for the Art Fund. I was invited by the Fund’s Midlothian volunteer committee (one of 57 across the UK) to give a lecture at Oxenfoord Castle, just outside Edinburgh. We had a decent turnout of 80 for a talk on Van Dyck: at £25 a ticket, the evening raised around £2,000. The fund’s accounts show that through such events, the volunteers raise about £350,000 a year after costs, which goes towards funding museum acquisitions. But no more. The Art Fund is doing away with its volunteers. Few reasons have been given. The fund has done its best to play down the volunteers’ contribution, claiming on its website that they only raise £100,000 a year because it costs the fund over £200,000 a year to manage the volunteers. This seems extraordinary, but then the fund does manage to spend over £2.1m a year on salaries for its 55 staff. Because the volunteers really care about supporting museums, they naturally want to carry on doing what they’re so good at. But who and what should they support? In the Lothians, for example, there are only a few local museums, not all of whom need help buying (say) a Rubens. The fund’s suggestion that members might want to attach themselves to the National Museum of Flight in East Lothian (a fine institution, but not known for its art collection) caused understandable bewilderment. There is a real appetite to support a nationwide body that helps museums buy important, historic works of art. What a tragedy that so many now think that the Art Fund no longer fulfils that role. I have been filming in Italy again for the BBC series Britain’s Lost Masterpieces. We started in Rome, and then drove up to Florence, via such picturesque places as Tivoli. Television budgets are not what they used to be, and the name of the game now is speed: five locations a day and 7am starts. 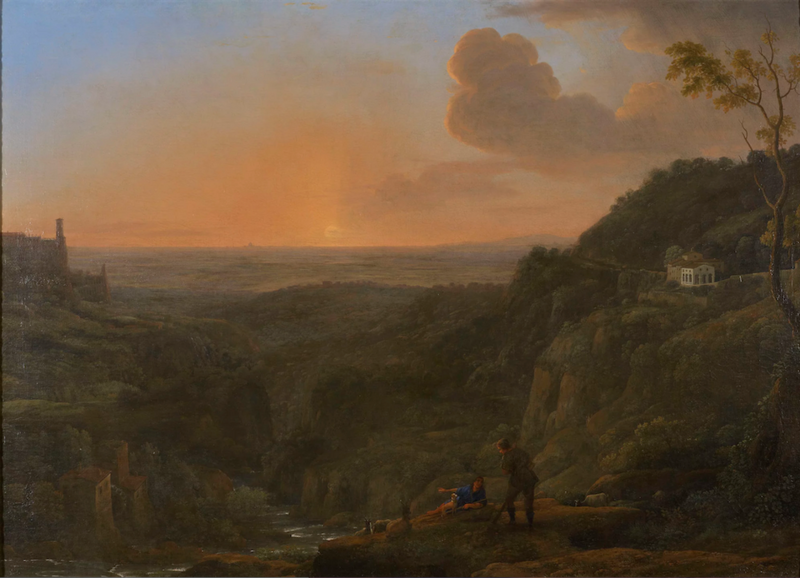 In Tivoli we raced the setting sun to find the exact spot Claude Lorrain painted his 1645 View of the Campagna. Surprisingly little has changed, except the fly-tipping. In the Uffizi, we had time to visit one room, but what an intoxicating pleasure it is to be alone in those galleries, even fleetingly. I returned to Florence the following week with my wife and daughter. And goodness, what a difference a film crew makes. We looked gloomily at the queue for the Uffizi stretching around the block, even on a cold day in March. So we signed up for what the Uffizi calls a ‘PassePartout’: a one-year, €100 card that allows you access any time you like. But when we tried to use it, we were told it is not valid on certain days. We eventually made it in—but why does the Uffizi make entry so difficult? I counted four separate ticket queues. There’s one to get the ticket, another to check the ticket, then another check at the bottom of the main staircase, and then—bizarrely—one at the top of the staircase. They also check tickets when you leave, so there’s even a queue to get out.